I swear. The hardest thing I’ve ever done is try to be a good parent. There’s no book and I probably wouldn’t have read it if there was. I began with great ideals and have flexed into a more adaptive role realizing that kids and situations vary and that some of my ideals would have likely put them on a therapist’s couch for years to come. I pray a lot. There have literally been times during the last 15 years when I look at my kids and say, “Just give me a minute. I’ve never been in this situation before and I’m not sure what I am going to do.” That may sound weak, but frankly, I think they’ve come to respect it and the fact that I take this job seriously. This last year, when my eldest went to high school, it really caused me to realize how little I will influence his remaining days at home. The wonderful thing is that we’ve had the discussion. As he entered his freshman year, I told him that I’d really done what I could for him and now, it’s up to him. He’s had the privilege of good education, great athletic coaching, and everything else that I could think of to fire his synapses over the years. I’ve worked hard to show he and his brothers how much they have in this world and how it’s their responsibility to take care of others. And while everyone says it, the years do go remarkably fast. A couple of weeks ago, he went for his driving permit. It wasn’t on the exact day that he was eligible like I did. Rather, he waited until it was convenient for the family. I’ve been letting him drive a lot. It’s both fun and nerve-racking but part of the fun is watching how seriously he’s taking it. I’m working to point out absolutely every hazard that has ever crossed my mind and where all of the photo radar is located (not that he’ll be going fast). Then last week, something occurred that caused me to pause and be thankful. Despite my failed attempts at parenting, he’s growing up okay. A letter came in the mail from the department of Motor Vehicles where he received his driving permit. It was from the organ donor organization and I felt a bit panicked that they’d be soliciting my child but as we read through it, he was receiving the letter as a thank you because he’s already signed up as an organ donor. I get teary as I write. Honestly, as a 15 year old I don’t think I’d have been willing to consider becoming an organ donor. I was far too vain for the idea of someone else using my body parts. In fact, it wasn’t until a friend had a tragic horse accident and was able to give her eyes, that I even became familiar with the concept. Yet here is this kid, my 15 year old baby, an adolescent in the throes of becoming a man. Physically he’s there. Mentally, I’m told we have several years before the frontal lobe is fully capable yet he’s made an important decision. He’s giving of himself for the betterment of others. Wow. Tammy, it’s quite clear from your posts that you love your sons madly – and that alone is a great start, seems like. Providiing them with guidance, love, structure and good nutrition – holy cow you’ve gotten those boys off to a good start. Now as you say, it’s up to them. And what a GREAT start they’re making! How proud you must be of your son! Happy birthday to him and “ya done good!” to you and your husband! Thanks so much Diane. I know how much you value family so these kind words from you are especially appreciated. That foundation of solid values was laid a long time ago, Tammy. Good parenting really does matter! It does matter. It’s just frightening trying to figure out how to do it. Thanks for this. The post came at a time when I am dealing with redefining relationships here, and struggling with that. Happy Birthday to your son! It is a continuous redefinition, isn’t it Jane? Best to you! Great story and you and your husband should be very proud. My son just graduated from Durham University and all he wants to do is pay me back for supporting him through college, who said the youth of today were not worth our love and encouragment. That’s not a bad thing at all. Congratulations! I see a lot of good in the world. Tammy, I was trying to read you post as I was at the Gym, but couldn’t see through my own tears. My son made the same decision nearly 3 years ago. My knees are sore for the prayer that I have had to do to get him to this point. And I know I have been blessed with really good kids! Today I am buy the dorm room refridge in hopes he will stock it with good nutrition. Hope is the key word. And I am taking the baby to visit her kindergarten room and the middle one to buy the right JR high approved backpack! It all goes way too fast ! Thanks as always for a great post! You’re very welcome Kath! Yes, it goes too fast. Thanks for this post. My baby is starting kindergarten and I can already see her independence seeping in. I am in need of more prayer and this is an excellent reminder. It certainly works for me Jennifer! He is a great kid and I am blessed. I just don’t want my kids to think that I have all the answers but that thinking through a situation is important. Plus, it’s true! Knowing who you are and the thoughtfulness you have employed through the years, the magic family you and John have created, nurtured through the years and believe me, it continues for all the years we live, but manifests in love and respect and deep satisfaction. A Just beautiful post. Thanks Sally! You’ve done it better than anyone! Your boys have grown into wonderful young men. You have every right to be a proud mom! Every child is different, so as a parent we mold our parenting style to each new situation. 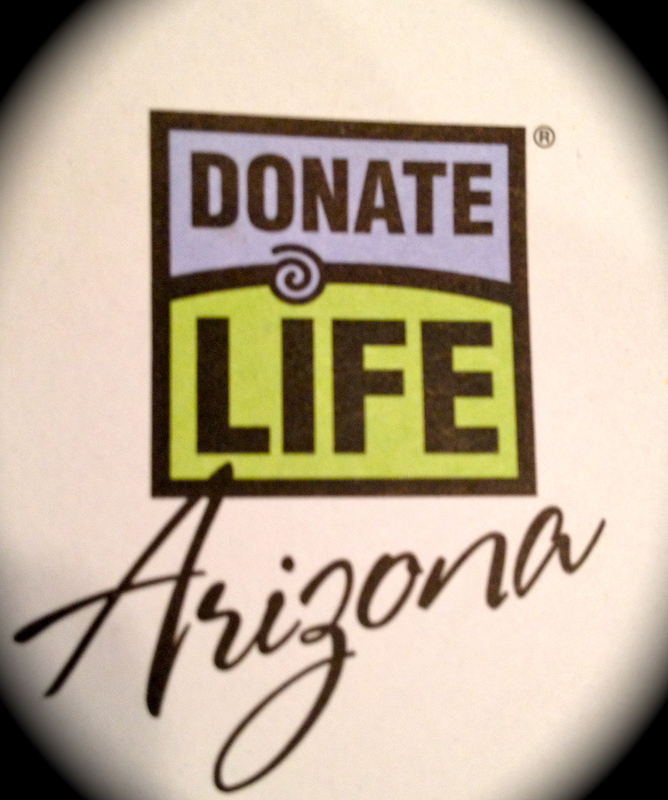 How wonderful that our new driver is an organ donor! Happy birthday! So hard to believe that he is already a driver! Sometimes you don’t need a book going into it, because you’re writing it everyday. Some of the most important lessons a kid learns are watching how his parents learn… watching how open his parents’ minds are to new experiences, new challenges, new situations, and then watching how they assemble the facts and make the most of them. It sounds like you’ve done a great job. It’s a work in progress but I am working on it and will continue to do so. He is mature for his age but I have to remember that he’s still a kid. You’re doing a great job. I have to say, I’m 28 and I haven’t got my drivers license yet. I wonder if this embarrasses my parents at all? It sounds like the new normal to me. At least that’s what I’m hearing. I’m certain that your parents are quite proud – of many things. I just got bumps reading youe post Tammy. I am so proud of him and I am so proud of you. Maybe in the course you have done a lot of wrongs- but in all that wrongs you must have done something right to deserve such a son. Wow, what a great kid. Also, I found that with my three daughters my last is the best driver. I credit it to two things, first a super great drivers ed teacher in school, and second, I rode with her lots her first year, and we talked about all sorts of road situations. Be the parent in the car, it is a great time for getting to know them as the adults they are growing up to be. Great post!! Oh, Tammy, don’t these moments take you unawares? I catch my breath just reading about it here. To turn around and realise that your son is someone of integrity someone who makes decisions which are the right ones, though they unsettle us as mothers. Your son is a person of integrity. They do take me unaware – on the sly – in a parent-teacher conference or watching them interact with a homeless person. Amazing! What a nobel idea…Keep healthy people alive. Yes, that is what it is intended to do. That is amazing, Tammy, best proof that you are doing an amazing job as a parent! Happy Birthday to your wonderful driving compassionate son! I’m crying . ..just because. Really beautiful Tammy. May your mommy heart be blessed many times over by your boys growing into young men! Thank you Sophie! I appreciate the kind words. HI Tammy – I just read your post and knowing your son, I am not in the least bit surprised at his decision! He is a wonderful young man, you and your husband should be (I know you are..) so proud! He is one of the few I will probably allow my son to ride with once he is officially behind the wheel! Thanks so much Marty! I appreciate you reading it and your lovely comments. You are very kind. It really is a very difficult job. You definitely didn’t make any failed parenting attempts…I’ve seen some terrible adults who don’t even deserve the label “parents”, and you are certainly nowhere near that spectrum! I was probably the most nervous new parent there ever was… But isn’t it nice when you get to that point where you realize you didn’t “break” them? What a heart-warming post—wonderful when you experience those kinds of moments with your kids, and they surprise you with the extent of their compassion and maturity. Yes, the best kind of surprise, isn’t it Nancy? I thought I’d take a moment to catch up with your blog, and what a great post to come across. I think you have more than succeeded with your children, and this is a perfect example of what strong parental support can create in our next generation. I know that of all the things I am proud of, there is nothing I am more proud of than my kids! I need to talk to Lexi son about this too as she often reminds me just how soon it is that she can get her permit! So nice to see you here Kimarie. Parenting is so hard but I won’t give up and I am so proud of the three young men that I’m raising.